Although both Chinese and Thai food are Asian cuisines famous worldwide, yet they differ in terms of taste, ingredients used and cooking styles. Thai food uses very less oil along with fresh ingredients like basil leaves, curry leaves, fruits and vegetables. Whereas Chinese Food uses lots of oil to cook noodles or rice with the preserved ingredients. The only food that has influenced and impacted the Indian food habits to the deepest penetration levels is undoubtedly Chinese Food. It is well known that dosa is a famous South Indian delicacy and noodles are something which has made Chinese a part of every Indian function. Catering to the Indian taste buds with a Chinese flavor we also have spring dosa, where the dosa is having a stuffing of noodles. I think that is something what we call a multi-cultural delicacy. Every nook and corner of the Indian street serve Chinese today. The strong influence which the food had on the Indian lifestyle is evident by a simple example here. Recently, I went to a birthday party in my neighborhood. The lady of the house had kept a small function for the five-year-old kid and had prepared the food by herself. The cake was distributed to the kids along with some cookies. Thereafter the main course included noodles cooked with capsicum and tomatoes. The army of kids relished and cherished it with ketchup. This was followed by a serving of hot gulabjamuns as dessert. I wonder how conveniently the combo of puri sabzi has been replaced with a Chinese item in such small parties. Similarly, a starter, which is profoundly relished for its Indian-Chinese flavour is Gobi Manchurian or Paneer Manchurian. 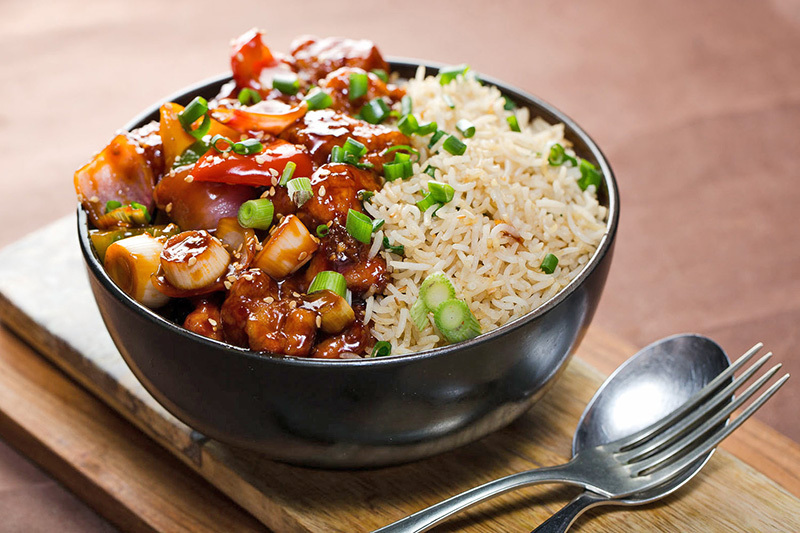 However, when one craves for the Chinese it is difficult to make a choice between sweet and sour chicken or fried rice with choice of vegetarian or pork or chicken. The vast menu can be glanced through the food delivery websites. The taste and quality can be judged through the customer reviews. Last, but not the least anyone from the diverse varieties of dumplings can be ordered as a starter. While Chinese has merged and penetrated into the Indian lifestyle with a new flavor, Thai food has maintained its identity. Rich in flavors with strong aroma is what makes this food special. From som tum salad to Thai soup there is no dearth of choices. Flavoured with coconut milk and garlic and cooked with broccoli and chicken, Thai noodle soup is something which just cannot be taken once. Yellow Thai Curry with coconut and vegetables is something which everyone loves from the Thai platter. The incredibly sweet dessert made out of creamy coconut milk, sticky rice with mango, is a must have. 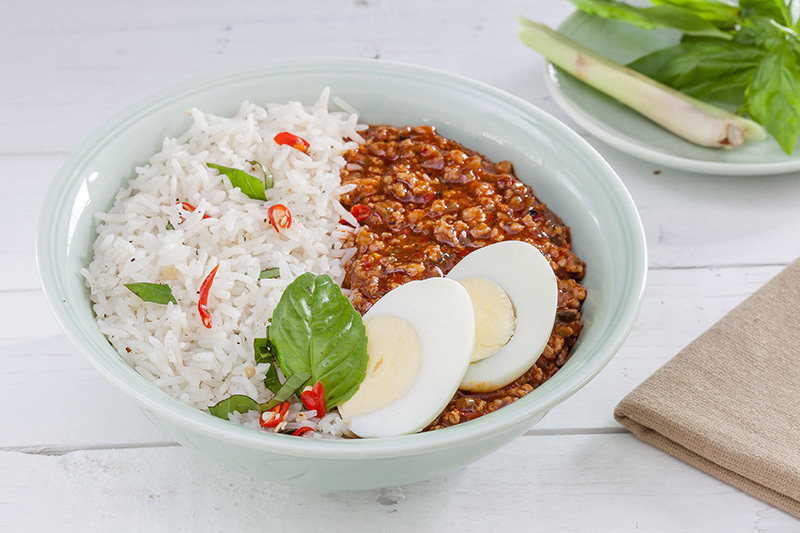 The various online food delivery options also have the delicacies from the land of fresh fruits and vegetables, Thailand. From spicy to sour to sweet to a mix of all, every option can be explored. With the apt description about the food, one must carefully check the flavors and taste of the food.